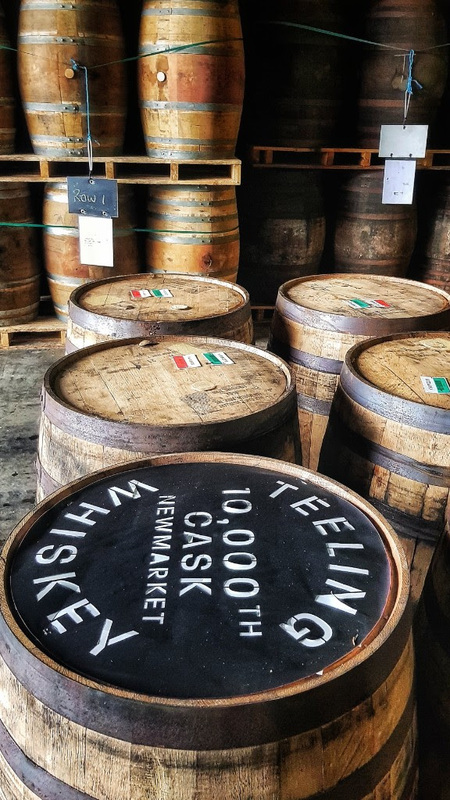 Great news from the guys at Teeling Whiskey this afternoon, as they announce that they’ve filled Cask No. 10,000 with their own distillate! 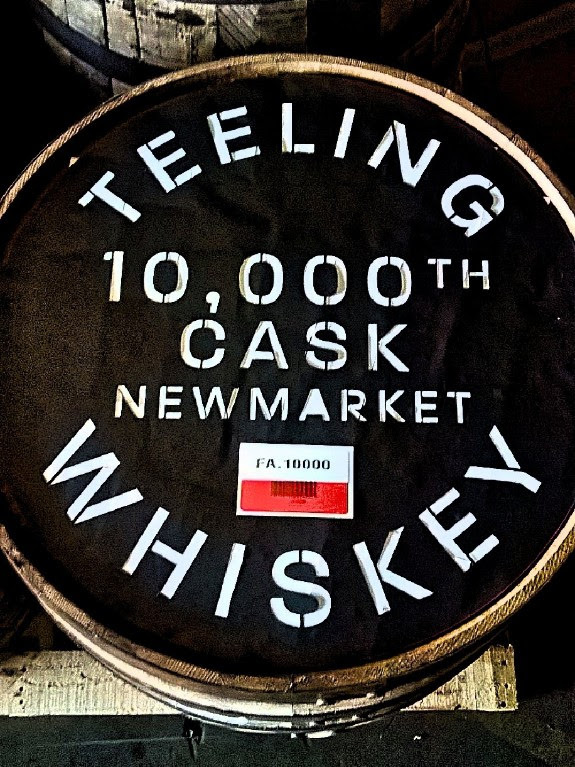 Teeling Whiskey, Ireland’s leading progressive whiskey producer, is very proud to announce the filling of its 10,000th cask of whiskey distilled in Dublin from its award winning Teeling Whiskey Distillery. The Teeling Whiskey Distillery fired up its stills in 2015 and with that, began to write a new chapter in the illustrious history of Dublin whiskey as the first new city based distillery in over 125 years in Dublin. This landmark coincides with the recent release of the first bottling of Teeling Single Pot Still Irish whiskey distilled at its Dublin based Teeling Whiskey Distillery. Dublin whiskey and its distilleries were at the forefront of the previous Golden Era for Irish whiskey in the 19th century and it was a very dark day for Irish whiskey when during the 1970s these last remaining distilleries closed their doors. The opening of the Teeling Whiskey Distillery in 2015 marked a new chapter in the history of Dublin whiskey distilling, firmly putting Dublin and Teeling Whiskey at the forefront of a new wave of distilleries, that are driving a new Golden Era for Irish whiskey. The first commercial release of Teeling Whiskey exclusively distilled in Dublin, was produced from a recipe of 50% un-malted barley and 50% malted barley, a uniquely Irish Single Pot Still mash bill made famous by Dublin distillers. However over the last three years multiple recipes have been used leading to a range of Single Pot Still, Single Malt, Peated Single Malt and some innovative recipes such as a Crystal Malt, Crystal Rye and an old Dublin Porter new make spirit being filled in a wide range, size and styles of casks that make up the 10,000 casks. The first Batch of the Teeling Single Pot Still was launched in October and is exclusively available in Ireland through the Teeling Whiskey Distillery gift shop, Dublin Airport and select independent off-licenses. The Teeling Single Pot Still Irish whiskey 70cl bottle comes in a gift tube and is bottled at 46% with an RRP of €55.00.